Born January 21, 1950 in Fort Worth, Texas. Graduated 1968 at Diamond Hill Jarvis. Joined the US Navy 1969 and has 4 ½ years of honorable service and 3 ½ years of honorable service in the US Navy Reserve. Steve joined MUFON in 1991 and has conducted independent investigations on UFOs for the past 20 years. During this time, he has investigated over 200 cases for MUFON. In 1995 Steve was appointed as Texas Chief Investigator. He was part of the original Star Team conducting Star Team investigations in Texas. In 2008 he lead a group of Field Investigators to Stephenville / Dublin, Texas to investigate what is now known as “The Stephenville Lights.” In 2009 he became the MUFON State Director of Texas until 2012. Steve has 20 years of community service with many volunteer organizations, such as, Little League, Neighborhood Council, Community Policing with the Fort Worth Police Department, C.O.P Search Team, C.O.P. Base Radio Operator. Steve is an Estimator, Draftsman, OSHA Outreach Trainer, and Safety Director for a multi-million dollar construction company. He is also is owner of Infinity Industries, and owner / host of The Texas UFO Radio Show. Steve is currently the MUFON Director of Investigations and is the MUFON Radio Network Administrator. Robert Powell has a BS in Chemistry and is a former collegiate debater. Robert is a co-author of a book published in July 2012: UFOs and Government: A Historical Inquiry. He is one of two authors of the detailed radar/witness report on the Stephenville Lights. Robert is also a member of the Society for Scientific Exploration, the National Space Society, and the Académie d'Ufologie. 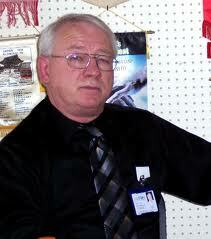 He is active with FOIA requests to various government organizations to obtain information on historical UFO cases. Robert enjoys meeting people, especially some of the wonderful and interesting people with whom he has befriended in the study of UFOs. Robert currently resides in Austin, Texas. Robert has 28 years of experience in engineering management in the semiconductor industry from 1978 to 2006. While working at Advanced Micro Devices he has taken numerous internal courses related to device physics, design of experiments, and statistical analysis. He helped Advanced Micro Devices develop its first flash memory technology that is used in today’s flash cards for cameras, PCs, video cameras, and other products. His experience includes managing a state-of-the-art chemistry laboratory and managing a Research and Development group that worked on nanotechnology using atomic force microscopes, near-field optical microscopy, and other techniques. Robert is also a co-holder of four patents related to nanotechnology. Robert Powell joined MUFON in 2006 and has been the Director of Research at MUFON since 2007. He helped establish and develop MUFON's Science Review Board and is its current leader. He is a Texas state section director and an active Field Investigator in the state of Texas having completed over 120 investigations and is a MUFON STAR Team member. Roger Marsh is a UFO writer and content developer. 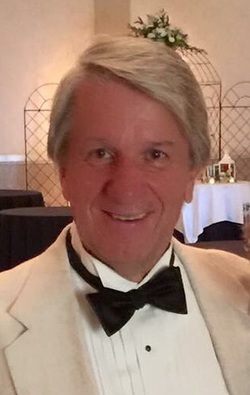 He is Director of Communications for the Mutual UFO Network (MUFON) where he manages media contact, rights and permissions, and content development for television, film, documentary, radio, print and stage. Roger is a MUFON case researcher for History channel’s “Hangar 1: The UFO Files.” He is editor of the monthly international MUFON UFO Journal, executive producer of the weekly “MUFON UFO Traffic Report” radio show; serves as the MUFON webmaster; is editor of the bi-monthly international MUFON Newsletter, reporter for the daily “UFO Traffic Report” and publisher of the “MUFON Books” imprint. He is the author of Sacred Dialogue, editor of Silent Invasion, and co-editor of Ron Paul Speaks. Roger was featured in the 2015 season premiere episode of Destination America's "Monsters & Mysteries in America." His one-act radio-style drama series, UFO Witness Theater is in development this year to be featured on MUFON radio as 45-minute audio episodes. Roger is a former editor with McGraw-Hill Professional Books and was Senior Acquisitions Editor for Consumer Guide books and magazines. Book development includes his New York Times bestseller, Ross Perot: What Does He Stand For? His comedy and paranormal original books, novelettes, plays and films are available at rogermarsh.moonfruit.com. Roger and his wife, Joyce, live in Scottdale, Pennsylvania, restoring a 1910 Pennsylvania four-square. 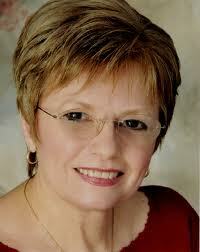 Kathleen Marden is a prominent UFO abduction researcher, author and lecturer with 23 years experience in the field. She is MUFON’s Director of Abduction Research. For ten years Kathy volunteered as MUFON’s Director of Field Investigator Training. In 2012, she was the recipient of MUFON’s “Researcher of the Year” award. She earned a B.A. degree in social work, with honors, from the University of New Hampshire in 1971, and participated in graduate studies in education while working as a teacher and education services coordinator. She is also a certified hypnotist with advanced training in regression and PTSD. Her interest in UFOs dates back to September 20, 1961, when her aunt, Betty Hill phoned her nearby home to report that she and Barney had encountered a flying saucer in New Hampshire’s White Mountains. A primary witness to the evidence of the UFO encounter and the aftermath, Kathleen has intimate knowledge of the Hill’s biographical histories, personalities, and the previously unpublished historical files pertaining to their sensational story. She is the author of three books, Captured! The Betty and Barney Hill UFO Experience, Science was Wrong, with nuclear physicist/scientific ufologist Stanton T. Friedman, and The Alien Abduction Files, with Denise Stoner. Her chapter “UFO Abductions: Fact or Fiction” appears in UFOs and Aliens: Is There Anybody Out There?. Her articles have been published in the MUFON UFO Journal, Open Minds magazine and on several websites. Kathy has appeared in television and radio programs in the US, Canada and the UK, and has lectured throughout the United States. She is recognized as the world’s leading expert on the Betty and Barney Hill abduction. Chase earned her Master Trainer, Master Instructor title while employed with the Department of Defense. Armed with a Bio-mechanical Engineer accreditation, she was responsible for designing specialized programs and the supervision of complete success regarding Force Readiness, unique mission responsibilities and Elite Force Protection. This was achieved by understanding the goals and requirements placed on physical and mental strength assignments that are demanded and expected for today's Active Duty members and civilian anti-terrorist units. This includes assignments with Homeland Security and Private Sector Security Forces. Schooled and certified as a Private Investigator, Chase consistently demonstrates the knowledge, technical requirements, legal parameters and the commitment to evidence-based investigations using the latest technologies and methodologies deployed by professional Law Enforcement Officials in a modern and forward moving scientific environment. International Star Team CAG; National Director Mexico; National Director Cuba; MUFON Radio Associate Producer. Chase continues to be an active investigator, responding to reports and international cases. She has an extensive history in the field of Ufology and a diverse investigation background that includes MUFON field reports to ancient artifacts as demonstrated by her study and "hands-on" forensic contributions to the Elongated Skulls and The Star Child Skull, in which she maintains as the Lead Investigator. For the past 25 years Chuck has been researching and investigating the UFO phenomenon including cattle mutilations. As a field investigator, he’s appeared on radio and television shows discussing his investigations. Chuck approaches every investigation as a skeptic looking for any known possibility before claiming otherwise. He also implements new and innovative field experiments from time to time, to enhance his investigations looking for new evidence. He has over 25 years of Graphic Mix Signal IC Microchip design and is a former Reserve Deputy Sheriff with El Paso County Sheriff’s Department, Colorado (2002 to February 2011). His education includes; an Associate’s degree, a Bachelors degree, and a Certification in Electronic Engineering . Chuck was born October 1934 in Los Angeles California. His past business experience includes appointment as corporate officer in the Financial Services Division of the Travelers Corporations. He has also been employed by a regional bank and directly responsible for credit card Internet security and fraud investigations. He is the past Chief Investigator for MUFON in California. In 2006 he was appointed Director of Investigations for MUFON International, a position he held until 2010. During this period of time he revised Edition 5 of the Mufon Field Investigators Manual, developed the STAR Team concept, and developed the Category Classification system for MUFON’s Case Management System. He is a past member of the MUFON Board of Directors – serving from 2006 until 2012. Chuck lives with his wife, Sheila, who is a retired NASA (JPL) employee. He is a volunteer for the Truckee Police Department, enjoys astronomy, using his observatory, and working on special projects with MUFON. Ruben Jose Uriarte graduated from Cal State University at Hayward/East Bay with a B.A. degree in Psychology and Latin American Studies, and has taken M.A. courses in Public Administration. Ruben is additionally a member of MUFON as a Field Investigator and State Director for Northern California. Ruben has been involved with a large network of research organizations. He had served as a California State Coordinator for Crop Circle Phenomena Research International. He was a former research director for Beyond Boundaries, a company specializing in taking tour groups to various UFO "hotspots" around the world. Ruben currently serves as a board member for OPUS (Organization for Paranormal and Support Understanding at opusnetwork.org. Ruben has been interviewed on many local and national radio shows and television documentaries on the subject of the UFO Phenomenon, such as the Discovery Channel's "UFOs Over Earth," The Learning Channel's "Monster Hunters," and the History Channel's "UFO Files," "UFO Hunters," "Ancient Aliens," the Travel Channel's " How UFOs Crashed My Vacation" and the Discovery Science Channel’s "Unexplained Files." Ruben has authored a number of books, co-written with Texas UFO researcher Noe Torres about major UFO crashes that have occurred along the border of the Southwestern United States and Mexico and other historical cases. His books include, Mexico's Roswell (1st & 2nd Edition), The Other Roswell, Aliens in the Forest and The Coyame Incident and Falling Angel. Ruben worked as a contributor/translator with Noe Torres on their recent book project, UFOs Over Mexico - Encounters With Unidentified Aerial Phenomena with authors Carlos Guzman and Alfonzo Salazar. See the web site at roswellbooks.com. ​Ken recently retired from a Fortune 500 company where he served in human resources as global training and development manager. His team was responsible for instructional design, development, and delivery of technology, sales, management, and personal development training to over 17,000 employees in 56 countries. Ken is a certified trainer for Wilson Learning specializing in effective communication courses and distance learning methodologies. He has been a certified instructor for the FAA at their Florida flight service district office providing classroom training to FAA personnel and flight safety teams. Ken holds university degrees in electronics engineering, mathematics, and physics and has studied marketing at the London campus of Western Business School. His technical background includes design engineering of analog and digital products with a specialty in RF/wireless, software engineering, and website design. He holds an advanced class amateur radio license as well as a first class commercial broadcasting license and has designed commercial broadcast equipment and communications equipment for several major manufacturing companies. Ken is a commercial pilot and flight instructor with over 45-years of flight experience and has given over three thousand of hours of instruction to both civilian and military pilots. Ken and his wife owned and operated a flight training school which provided instruction and advanced rating training in airplanes and helicopters. His 45-year interest in ufology stems primarily from numerous sightings of unconventional flying objects observed while operating as a pilot. Ken is a member of the STAR and Special Assignment Teams (SAT) as well as the State Section Director for Colorado where he and his wife currently reside.